Ah. The new East Wing of the Shangri-La Mall in the Philippines. Very posh looking with great hints of Filipiniana accents interpreted for the modern times. It really is a great looking addition to an already established shopping center. And with it, new food concepts to the fast developing Filipino palate for distinction and quality. Where should one start? Maybe best to start with familiar comfort food fare. 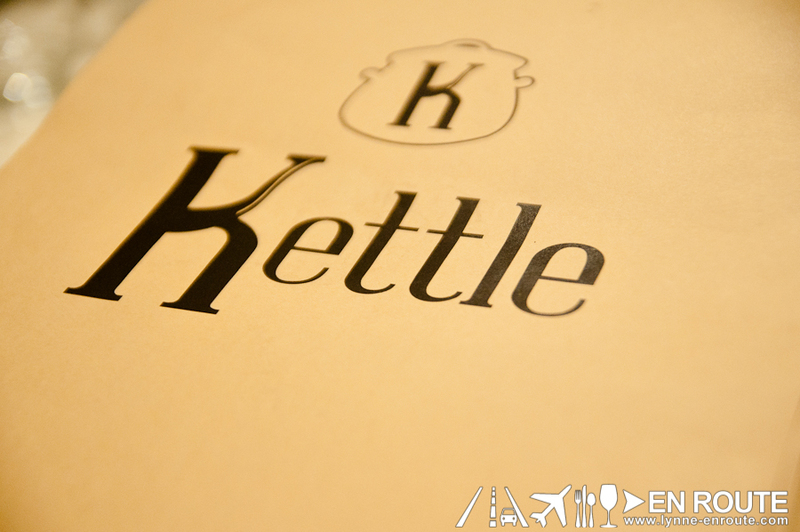 And on the fifth floor, you will find it in the form of Kettle. Out of the appetizers that will start you into Kettle’s comfort food journey, the Clam Chowder (PHP 220.00) and Pork and Potato Strips will be the best choices. 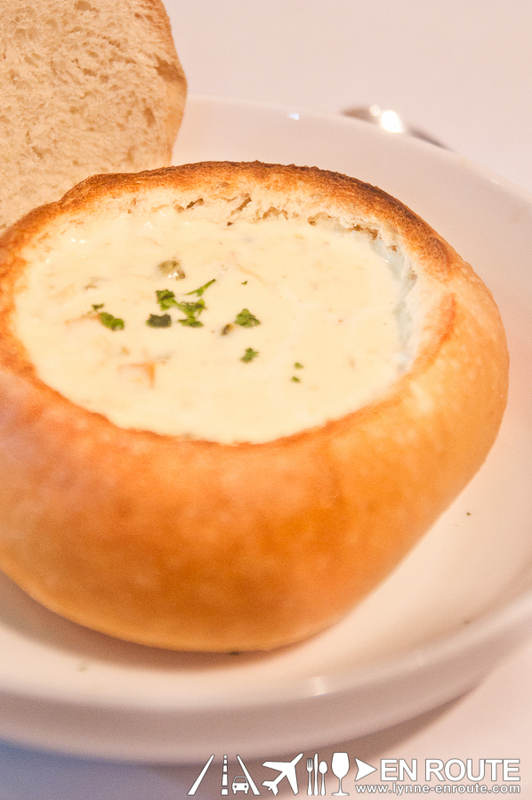 Aside from the clam chowder’s creaminess, the bread holding the soup has great flavor on its crust. It is the Pork and Potato Strips (PHP 339.00), however, that defines Kettle’s philosophy in comfort food. 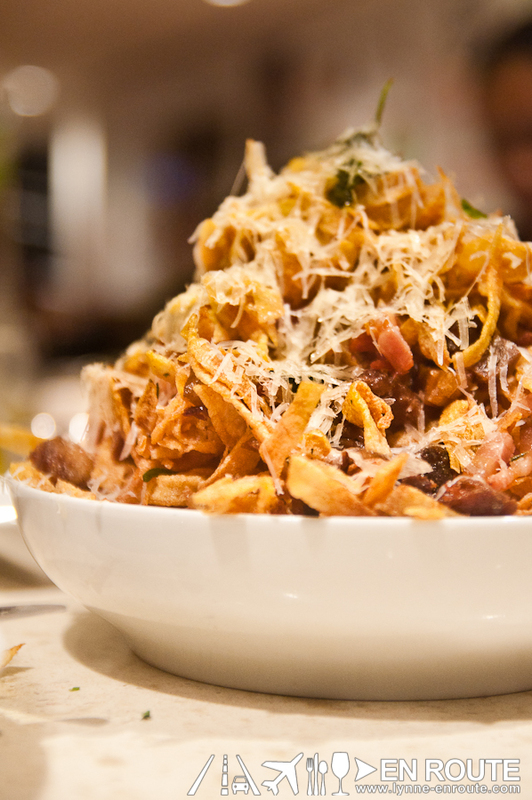 A mountain mix of home-made chips, bacon, fried lechon (roasted suckling pig), fried basil and tarragon, truffle oil, and a generous snowing of parmesan. Get this when you are going to Kettle as a group. 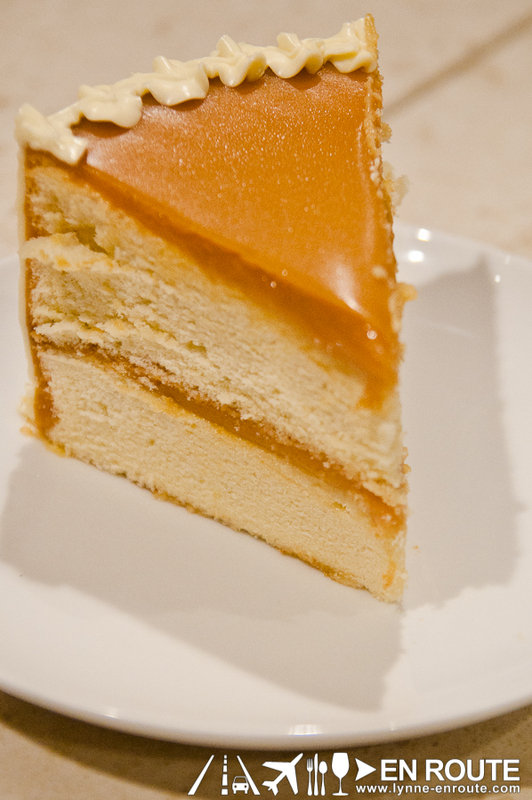 Also, get this with beer. Nothing goes well with this Kettle creation than a fresh, cool beer. Kettle’s variety of sandwiches are soothing selections, starting with Reuben Sandwiches (PHP 489.00) (haven’t tasted great Reuben sandiwches in restaurants ever since Chuck’s Deli) and their very own Half Pound Angus Burger (PHP 419.00). 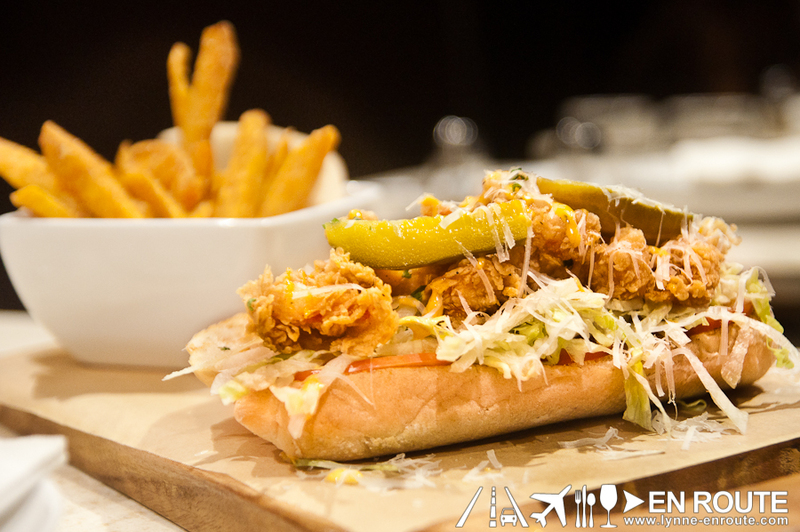 What you will want to get (as long as you do not have any allergies) is Kettle’s Shrimp Po’ Boy (PHP 419.00). What is in it? Juicy shrimps deep fried in a tasty, savory, Cajun style batter. It is placed on top of a refreshing layer lettuce and tomatoes, and peppered with more of that parmesan cheese found in the Pork and Potato Strips appetizer. Close the bun, squash it in, then take a bite to get all the flavors in one mouthful. Still hungry? Good. There’s more for you to try. 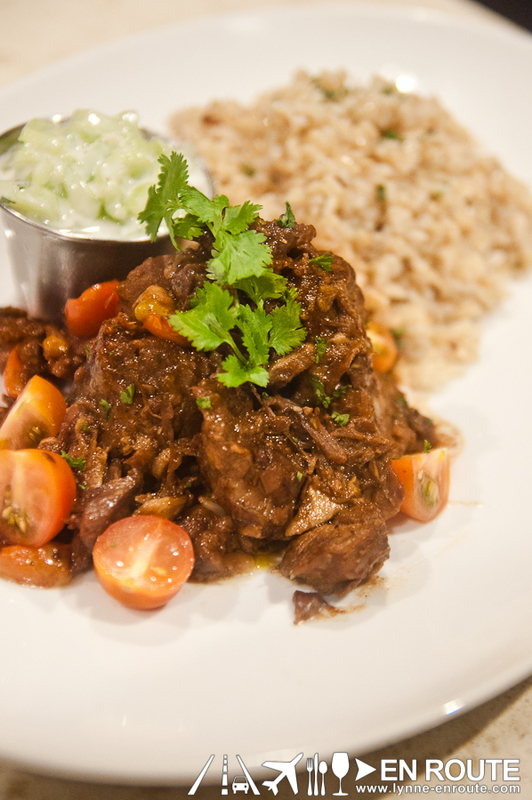 Kettle’s Lamb Adobo (PHP 449.00) is a new perspective to the accepted Filipino dish. What the adobo flavor has done to tender lamb is cancel that gamey flavor thanks to its vinegar component and then provided with a salty-sweet soy taste. And that yoghurt-cucumber dip when mixed with the truffle rice along with a spoonful of the lamb is the recommended way to take on this dish. 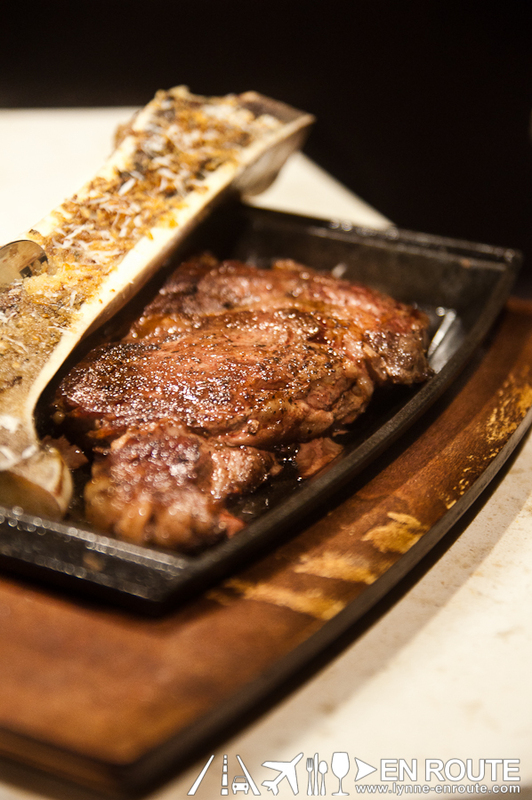 Carnivores will rejoice with a Steak and Marrow Platter (PHP 2,389.00). This is close to 500 grams and partnered with a baked bone marrow, so only those who are on death row are allowed to eat this alone. It is big enough to share for two (Actually after thinking about it, all the dishes in kettle are good to share for two). Kettle’s Buttermilk Fried Chicken (PHP 519.00). Eat this, and you will only want chicken cooked in this way always. Boneless chicken thighs, with their secret batter recipe, fried to a perfect golden brown color and delicate crisp, partnered with honey and gravy, with three pieces of freshly baked cornbread on the side. Try drizzling the chicken with a bit of honey then dip into the gravy. Sounds illogical? Don’t knock it ’till you’ve tried it. 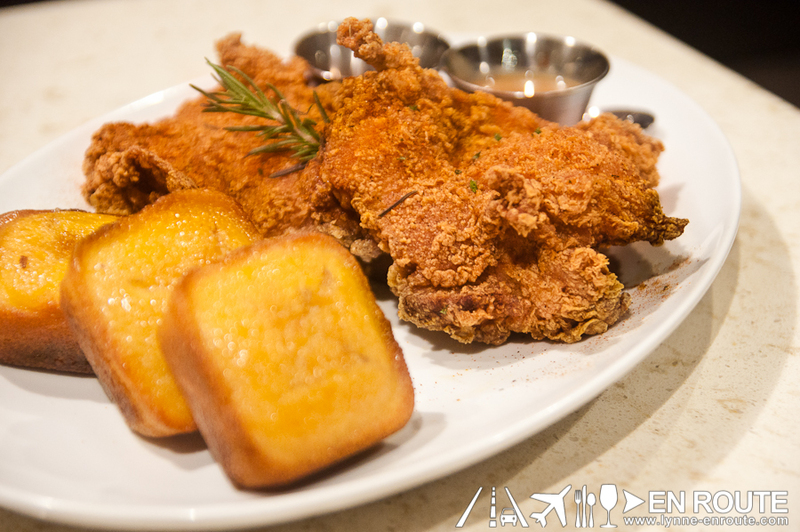 Detour: Its consistency and crunchiness is very reminsicent of the Buttermilk Chicken Wings of ‘Cue Modern Barbecue. This takes it up a notch by removing any bones that may get in your way of joy. 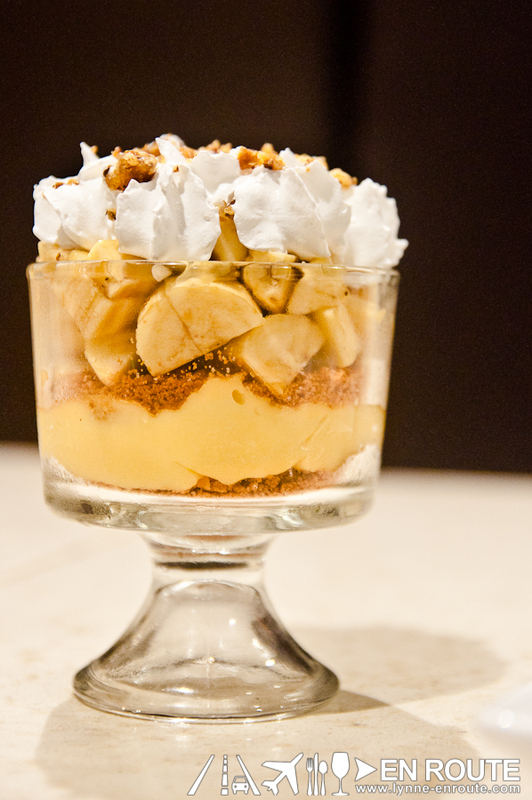 After all these indulgences, what better way to end your taste buds’ voyage into Kettle’s comfort food than with desserts? 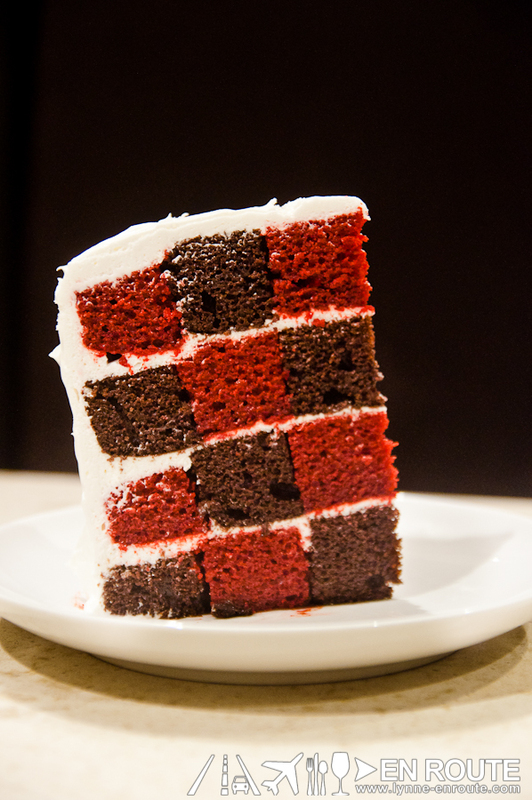 Pick from some of the home-made desserts, but one thing that stood out in presentation was the Checkered cake (PHP 209.00). How this is done? No one can figure out that night. But this was not a night of inquisition. this was a night to fulfill good food fantasies. 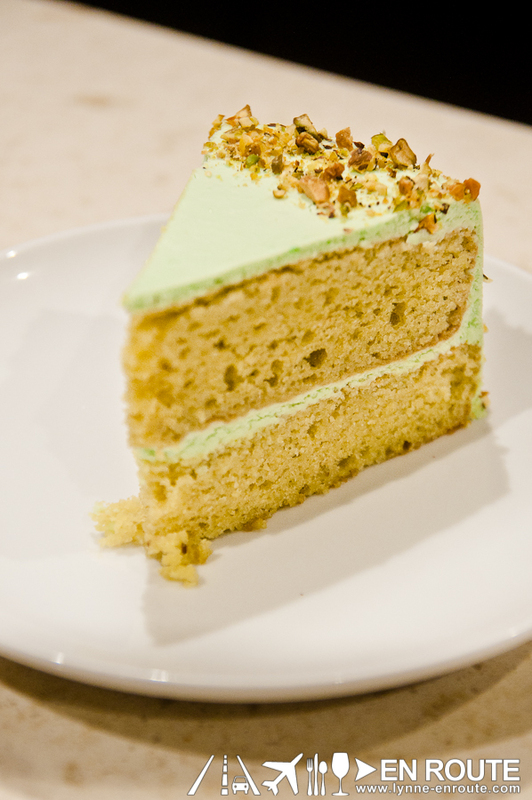 There is no doubt that Kettle will be one of the top-of-mind places when looking for great tasting food. 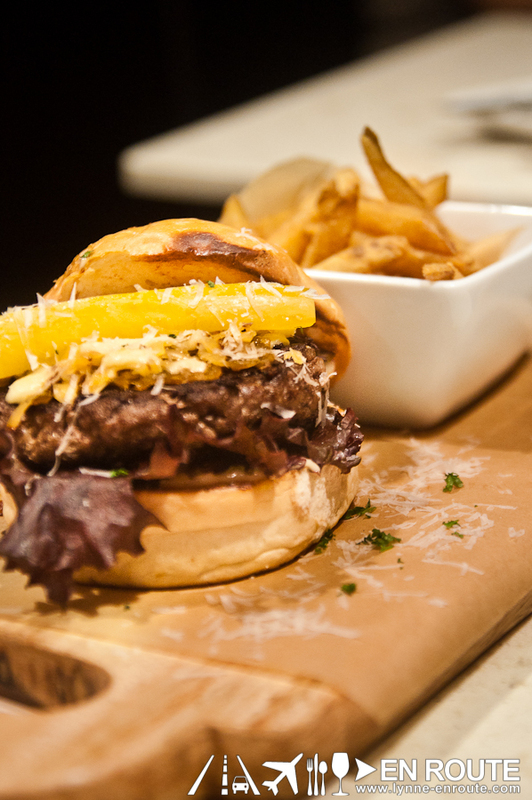 Its location is hidden compared to the other restaurants in the area, but it may be best that it is as people may flock in overwhelming droves to get a bite of one of the terrific casual dining dishes to come out this year. Especially that Buttermilk Fried Chicken. That is what pleasant dreams are made of. 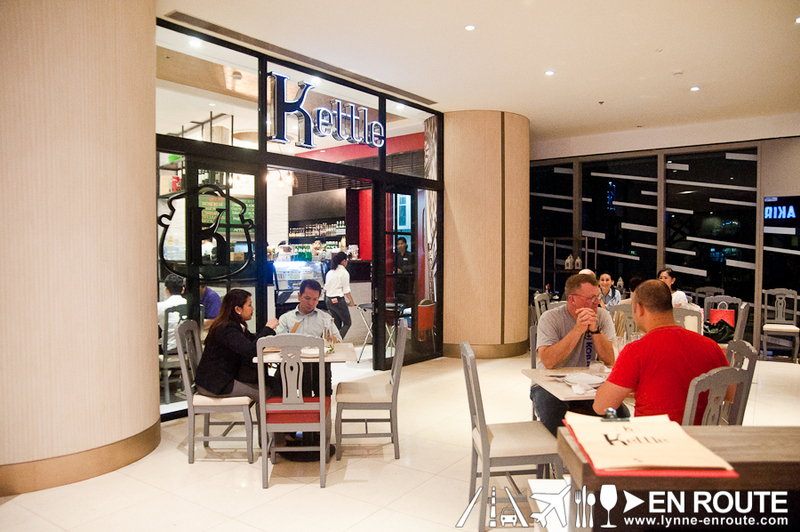 Kettle is located at the 5th floor of the Shangri-La Mall East Wing, Mandaluyong, Philippines.